Mike Marshall was a relief pitcher for 9 teams from 1968 to 1981, most notably for the Expos and Dodgers. He was signed by the Phillies (I didn’t know that until today) in 1960, and played in their farm system as a SHORTSTOP (also didn’t know that) through the 1964 season. 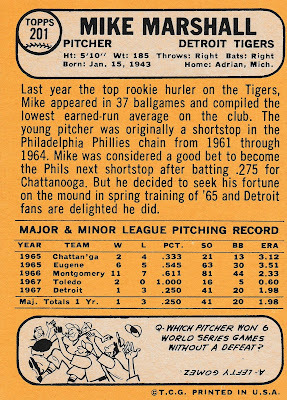 He switched over to pitching at the start of the 1965 season, and after 1 year was sold to the Tigers. D’oh! 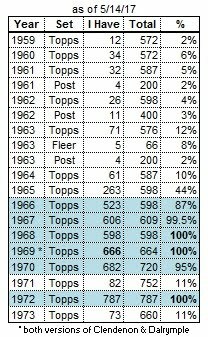 Why did the Phillies let go of so many good young players back then? 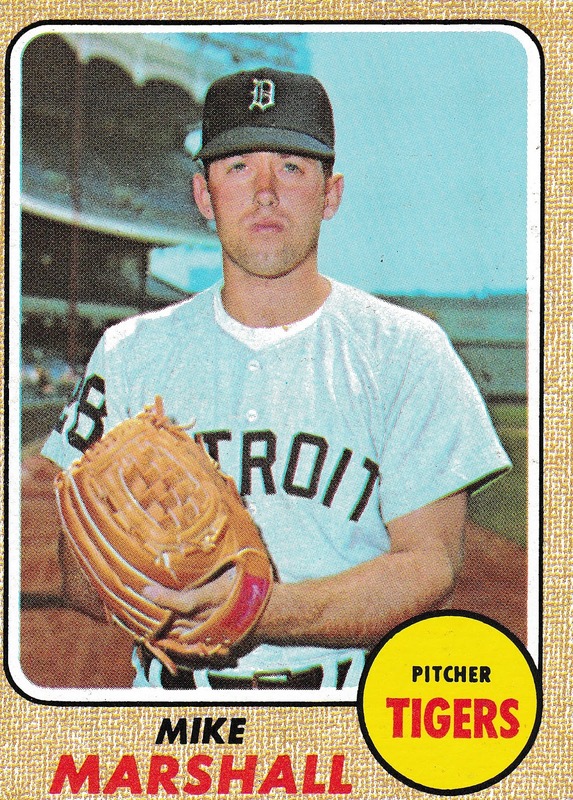 Apparently the high-riding Tigers didn’t need the services of this promising young hurler, and left him unprotected in the expansion draft. As a further insult, he was the FIFTY-THIRD pick in the draft, by the Seattle Pilots. Marshall played all of 1969 for the expansion Pilots, his only season as a starting pitcher. He also hit .259 (7 for 24), a higher average than all but 3 of the every-day batters. He was sold to the Astros after the season, but by mid-June 1970 was traded to the Expos for outfielder Don Bosch. 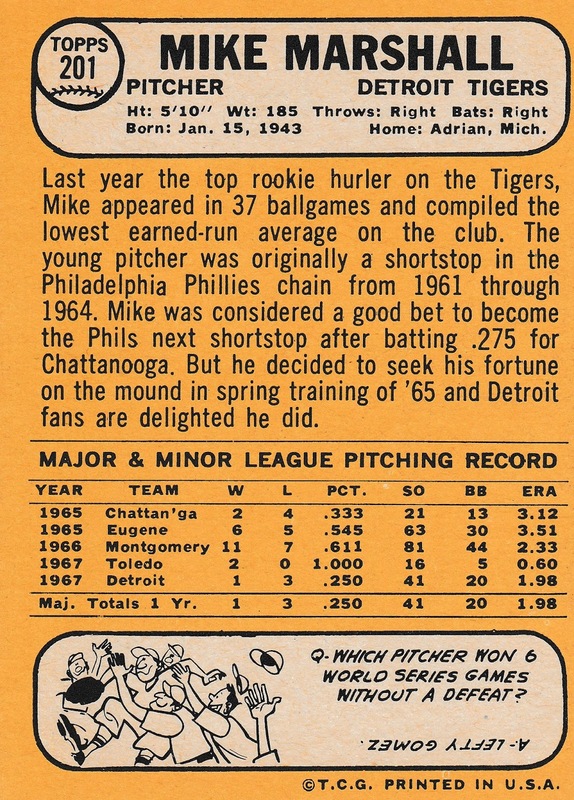 Mike played for the Expos for the next 3 ½ seasons. The “light” switched on during the 1971 season, as Marshall began a 6-year period of unusually high workload. He led the NL in games pitched from 1972-74, and in games finished from 1971-1974. 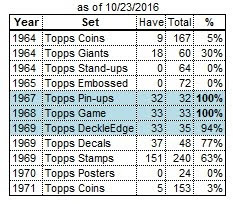 In 1973 (his last with the Expos), he appeared in a phenomenal 92 games, finishing 73 of them, while collecting an NL-best 31 saves. He also was the Cy Young Award runner-up. After the 1973 season he was traded to the Dodgers for outfielder Willie Davis. (Amazing, because he was at the peak of his career, while Davis was in decline.) As if 92 games weren’t enough to wear a man out, in 1974 Marshall pitched in ONE HUNDRED AND SIX GAMES! He again led the NL in games finished (83) and saves (21), and won the CY Young Award that season. He also made his first of 2 All-Star teams that year, the other coming in 1975. After a short time with Atlanta, the Rangers purchased his contract at the end of April 1977, but he played only that 1 season for Texas. He was granted free agency after the 1977 season, and was without a team until the following May, when the Twins signed him. Marshall made a comeback with the Twins, pitching in 54 games in 1978 and an AL-leading 90 games in 1979. He also led the league with 32 saves in 1979. He was released in June 1980, and more than a year later was picked up by the Mets in August 1981, but was released after the season. Oddly enough, the record shows he pitched 1 inning for the Angels’ AAA team in 1983. Seems like a bad idea, resulting in a 60.75 ERA.